i am a young girl and i want to become a corporate lawyer what are the qualifications for doing so? LL.B, L.P.C. (England) or L.E.C. (Caribbean) and maybe an LL.M in Corporate Law if you really want to specialise. However, the LLB and LPC offer electives in Corporate Law, so you should make sure you take them and then with enough experience, the LLM may not be necessary. I specialised in Employment Law and I did my LL.M. in London. The Masters really confirms your expertise. Please advise on the prospects of becoming an attorney, i.e. qualifying for Bar exams having a LLB granted by a Cuban University. Is the L.P.C recognized in Trinidad and Tobago? Yes, the UK's Legal Practice Course is recognised in Trindad and Tobago. After you complete it, you will have to return to Trinbago and work with an Attorney who has no less than 10 years experience for at least 6 months before you can apply (pay the fees) to be called to the bar. I am living in Guyana i wrote cxc this year,i wanna be a lawyer,what are the qualifications for doing so? The same qualifications mentioned in this post apply to you. All of the Caribbean are guided by similar rules. I am 30 years old and i am thinking of be coming a layer is there any age limit. I went to Law School in England with a guy who was in his 40s... and he was one of the brightest. I guess it depends on the person and their ability to cope with the workload. What's Taking place i am new to this, I stumbled upon this I have found It absolutely useful and it has helped me out loads. I'm hoping to contribute & assist other users like its aided me. Good job. Thank you for this site, I've found the information very useful as there is very little information avaiable generally. I have just completed my LPC at the College of Law, but given the training contract situation in the UK I would like to qualify in Trinidad and within the other caribbean territories. I therefore would like to complete the 6 month transitional program at Hugh Wooding Law School. I've found contradictory information on this particular process, some (including the Hugh Wooding website) say that a prerequisite of the 6 month transitional course is that you must have completed a training contract in the UK to be eligible for the course i.e. have been admitted to the role. However, a few 'friends of friends' who have also completed the LPC and moved back to Trinidad have said that they did not complete a training contract, but were still able to do the 6 month transitional course. Has Hugh Wooding recently changed their admissions criteria for the 6 month course? Any clarity you may be able to offer would be much appreciated. Thank you. 2. Work for 6 months with an Attorney who has been practicing for 10 years or longer. 3. Apply, pay the fee, and get called to the bar in Trinidad. Does another language on your resume affect you career? im a full-time student and i just completed my cape exams i've been accepted to do a literature's in english degree in uwi i personally love the subject and believe that a background in english literature will give me an edge and hopefully help me become a great lawyer what i was wondering was if pursuing this degree would be a good choice for me or should i start a law degree to save time? and do you believe that literature and law complement each other? 3. Is the above entirely firm specific? I'm aiming to be a lawyer but it will take me 3 years at UWI and another 2 years in a law school. I'm still pretty young but it seems that when i'm done i'll be around 26. So I hope you dont mind me asking but how did you get you career started so early? Thank you for this. It was very helpful. I'm currently a form 5 student who wants to study law. I've done my research and from what I have found, I'll be able to practice law at 26. I see that you are that age and already have a steady career. If you don't mind me asking, how did you do it? And do you have any advice? can you tell me what other available jobs there are with an llb but not an legal education certificate? and do you think that trinidad has become over saturated with lawyers? Hi Can you tell me what is the basic salary of a lawyer direct out of law school? What are the fees you would have to pay before being called to the bar in Trinidad? Is the LPC equivalent to LEC at Hugh wooding? I would like to reduce the amount of time i would have to attend school before i get admitted to the Bar. after the LPC what are the steps? is it more difficult to get called to the bar with a LPC as compared to a LEC? Yes, the L.P.C. is equivalent to the L.E.C. Au contraire mon ami, neither is more difficult than the other. Getting called to the bar with British training (L.P.C.) is a much better benefit for you because British education is seen is better. The L.P.C., in my opinion, is superior to the L.E.C. The only advantage is that the L.E.C. is region specific, whereas, the L.P.C. will obviously be more British law (which we use anyway). A second language is an ASSET! Paralegal is the only job coming to mind. The legal profession is over-saturated in every country. There are many semi-literate Lawyers who can barely write proper report and that does not affect the legal ability. I think a degree like that is not very helpful for law. I am student in South Africa studying the LLB degree.I wish to be admitted as an attorney in Trinidad one day.Which course should I follow after I graduate? Do you know how much a Family (divorce) lawyer with little experience is paid in Trinidad? Salaries are obviously dependent on the firm and their ability to pay a specific salary. I've already explained in the post. What qualifications are required to become a Tax Lawyer in Trinidad? I have not been able to source a school that offers such specialization. You need to qualify and choose tax law as your elective. Possibly do an LL.M. in Tax Law. Go to England and do the Legal Practice Course. I recently got acceptance at UWI(sta) for law. Do they offer tax law as an elective? I sourced a law faculty handbook for Cavehill(uwi) and it didn't have that option. So now I'm wondering if it's offered at UWI(sta). Another thing, do you know what institutions in Trinidad offers the LL.M. in taxation law. I'm only familiar with universities overseas that offer it. I don't know what happens at UWI; I did all my studies in the USA and UK. According to its website, UWI only offers LL.M.s in Legislative Drafting, Corporate and Public Law. I doubt any other institution in the Caribbean is able to offer an LL.M. with proper accreditation. For Tax, you will most likely have to go away to study. I'm only 15yrs old but i'm already set on wanting to do Constitutional Law, my mind is made up and I'm strong headed about it. If that's your passion, go for it. I would also recommend doing law at the 6th form level if you decide to study in T&T. Only St. Augustine Secondary and UWI 6th form school offer it. You'll have a head start by the time you start your LL.B. Hey, same 15yr old again.. Where should I go to continue my Law degree? 1. An LLB - there are 2-year graduate routes offered through the University of London, but you need to consider what people may think of a Lawyer who studied via an online course. 2. A Graduate Diploma in Law (G.D.L. ), also known as the Common Professional Examination (C.P.E.) only offered in the UK (which is what I did). This is an intense 1-year course offered by around 14 universities in the UK. I attended the University of Hertfordshire. You have to decided what you/your sponsors can afford. If money is no object, go to England. Hi I'm interested in being a Corporate secretary. Currently I'm studying at Kaplan University for a Bsc in paralegal studies. what would be my next step after graduating from school. Will law schools in this country accept this degree into their schools? In order to become a Corporate Secretary, you must be called to the bar by doing the L.E.C. (Trinidad) or the L.P.C. (UK) and the subsequent training contract. Hi it's same Corporate Secretary person again . What would you recommend my steps for attaining this job goal. I only have 3 ordinary levels (including English A) and a high school diploma when I was living in the states. Also how to get funding from the government in achieving this goal, meaning who do I have to talk to. hope you understand my rambling. As far as I know, scholarships are offered based on A'level performance. Then there is GATE, which I don't know much about because I studied away. I already outlined your steps above; a Corporate Secretary is an Attorney, so you have to qualify. Hi is it possible to go from a paralegal to lawyer? If yes, what schools in the Caribbean or the UK will accept it. I studied in the US by the way. I still don't know what you studied and if you have a degree. However, as I've continuously repeated, you need a qualifying degree to become a Lawyer (scroll up). Hello. I have recently completed my LLB at the University of London. I would like to practise in the Caribbean and I am a Barbadian citizen. Would you advise the LPC and training contract route? Or the BPTC (previously BVC) route? Then do the sixth month conversion in Trinidad. It looks as though the Training Contract route is much longer so what would be the benefits? Also if I took the Bar would I need a pupilage or tenancy and if so, how long? Thank you in advance. The BPTC is very long and an absolute waste of time. Do the LPC in the UK, then do the 6 month training with a Lawyer in the region (must be practicing for over 7 years). hi i would like to know what jobs i can attain with a LLB law degree in the business sector and what qualifications are necessary. i have completed one year at uwi an is about to complete two years at Barbados. You can become a lawyer in 3 years by completing an LLB at BPP London in 2 years intensive, and 1 year BPTC or LPC. You could also complete the LLB by staying home for the 2 yrs and doing it online or traveling to the UK, it really doesn't matter, just depends on your ability. I am an agent for them and can assist with any further help you might need. Email me on lovrandy@hotmail.com. HI I currently have a LLB(hons) from England however is considering doing a Legal executive course. instead of doing the LPC. As in England this can lead to becoming a Chartered Legal Execuitive Lawyer. is this recoginsed in Trinidad ? your post refers to a trinidadian national with regard to the lpc ....does it apply to caricom nationals as well. or is there a different criteria for caricom nationals to qualify? Same system throughout the Caribbean. 1) Do you have to be a Caribbean national to practise in Trinidad or could you hold a UK passport? I'm a Guyanese National with a UOL LL.B (Hons)im having a heck of a time trying to get into hugh wooding law school. Can i be accepted to the guyana bar if i undergo the LPC in the UK? 1. No. A UK passport is fine, but of course, you'll need a work permit. 2. No. Just apply to be called to the bar when you get to Trinidad. USA - Bachelor's degree is 4 years then the JD is 3 years. HI I am currently doing my llb through the University of London but I am struggling to chose to be a family lawyer of company lawyer. Which you think maybe more interesting and I can make a good salary?? Is this a serious question? You're wondering if a UK LLB is equivalent to a UWI LLB? Listen, when it comes to law, there is no country superior to the UK. People who attend UWI teach themselves. Anand Ramlogan is a product of UWI who graduated on top of his class... look how dumb he is. Of course UWI accepts UK LLBs; what do you think K.Beckles and all those other schools give you? Lol thanks for the info. I asked because persons who did theirLLB @UWI seem to think that there is better than the UK and that's why UWI graduate are automatically accepted in hughwooding & graduates from the UK have to write an entrance exam so I was confuse thanks again. UWI automatically accepts their students into Hugh Wooding to encourage enrollment, no other reason. That person is clearly delusional and is exactly why I discourage everyone from attending UWI. I am currently studying the LPC at a London-based University and am exploring my options in order to qualify as a solicitor. I saw on your site that persons who've attained the LPC can qualify in Trinbago after working under a lawyer (10 yrs exp) for 6 months. Is this still relevant and applicable? Hi can you please tell me what good institution in the US I could finish my LLB from the University of London and probably do my LLM.I may get through with my green card before I finish the LLB so I want to be prepared thanks. US universities do not offer the LL.B. I am 15 yrs old and i want to pursue a career in corporate and business law. I am currently doing these subjects : Principle of Accounts,Math,English and English Lit, Science,History and Geography. Do you if to do history (CAPE) to become a lawyer?? Law is not interdisciplinary, so anything you do besides law will not provide much assistant with law school. However, law requires extreme amounts of reading and writing, so doing English A & B will prepare you somewhat for that. Just specialise by doing a masters in Corporate law. Before that, nothing is going to really help. Fluency in any language besides English would make you HIGHLY desirable. I have already imagined you working as a legal adviser of a multinational corporation. Your salary will be out of this world. What is the average salary of a lawyer in T&T? There's no average salary, it depends on how hard you work, how good you become and how your market yourself. Hi I am currently doing my Associate Degree in Paralegal Studies at UWI and I have been searching for employment in this field, but most of the legal jobs available are asking for 2 and 3 years experience or an LLB. Are there any internship programmes in Trinidad and Tobago? If I do my LLB from the UK can I be employed in the USA or do I need to do a US course to be employed? An LLB doesn't make you a Lawyer, so you won't get a job doing anything with just that. Also, the legal systems are very different, so entry to do the bar there is very tedious. You'll have to contact the individual law firms to get that info. I saw your profile and I wanted to ask how you did the transition from Law to HRM? I find that to be interesting because I am interested in both but someone told me that I"ll have to choose because law and HR don't go together. can you advise me? Thanks. Did a business degree, liked HR, which has a lot of employment law issues, so I moved to law and they both work in tandem. oh interesting well I currently have and economics degree(A waste) lol now doing my LLB and I currently work in an industrial relations environment which is the employment law side but how do I transition to HR so I can do both? Do I need to do my masters in HR to get a better understanding? What can you advice I do? thanks. You have to contact the university you intend on attending to enquire about for their respective entry requirements. A Masters would help, but practical experience would be best. I have completed the GDL and LPC in the UK. I was told I need to do two years at a law school to practice law in Trinidad. On the other hand I was told I can just do 6 months practice with a lawyer and then be called to the bar. I have not completed a training contract in the UK. Can you advise which is correct. For the people who did the LPC in the UK can share where and average costs please. Great job sharing your knowledge Legal Rights. Its like you have to beg these school for simple information. Thanks. I have a JD from a College of Law in Florida. What is the best route to practice in Trinidad. I am a citizen of Trinidad and Tobago. Do I have to take Florida's Bar exam and then seek to convert? How does it work? I'm 30 years old and thinking about becoming a lawyer. I already hold a bsc in econ but from an american university and thinking of going to Beckles law school for an llb. What is the possibility of doing both the llb and lec in under 4 years? I say this as I work in magistrate's court as a research and statistics clerk. I heard the lec takes 18 months? I can't seem to find out an exact period of time. Mate, don't do a full LLB, since you already have a degree. I did my degree in the US, then I went to the UK and did the GDL/CPE, which is 1 year. Don't waste 3 years of your life at this age. If you take the route you're contemplating, you won't be qualified until 35... if you go to the UK, you'll be practicing in 2 years. Ranked according to shortest route to practice. Does completing the 6 month transitional course qualify you to be admitted as a lawyer in Antigua and Barbuda? Hello, I have completed the GDL and LPC and was looking into qualifying in Trinidad as I am a national. The law association website does not explain whether GDL is deemed to be a qualifying law degree for the purposes of qualifying if I was to do the 6 months attachment. Also can the attachment be done in the legal department of a public body or must it be with a private chambers? Thanks. Hey what is the basic salary of a lawyer directly out of Hugh Wooden ? Seeing that you can't spell the name of the school properly, and that you did not take enough time to read the above comments, you might struggle in the field, mate. I am currently a law student reading for my LLB at UWI Mona and I have been contemplating going to America or the UK to obtain my LEC for a different experience. Just wanted to gauge which route you think is the most sensible. Should I just go back home to Trinidad and attend Hugh Wooding when I'm done or take a more exciting journey in a different country? In the UK, you do the 1-year LPC, which is shorter and you have more options upon qualification. With the LPC, you can practice throughout the Caribbean, UK, and easy transition to Canada. In the US, you'll have to do the 3-year JD and then sit the bar for that specific state, which means you can only practice in that state. Fortunately, I did not study at UWI, so you'll have to contact them. Hi is it possible to study law in the U.S and practice in the Caribbean? If it is how would one do so ? It's possible, but very hard. Remember, the legal systems are very different to each other. However, to practice in the Caribbean, you'd need to do the 6-month LEC in Jamaica, the Bahamas or T&T. Not sure what you mean by "is that a good idea?". If that's what YOU want to do, go for it! You have to contact the Law Association. It doesn't matter what you study. In order to study law, you need to love reading and writing. Subjects are irrelevant. I have never attended UWI, but I believe they require A levels. COSTAATT has a paralegal course, so that's the wrong path for qualifying as a Lawyer. I believe you may be able to get into one of the private law schools like K. Beckles. DO NOT WASTE TIME DOING A LEVELS!!!! My biased answer is that any legal studies in England will always be superior to T&T. You'll have to do the 6-month attachment. what are the qualifications for becoming a lawyer of criminal justice? Do you mean a criminal lawyer? The same thing applies above. 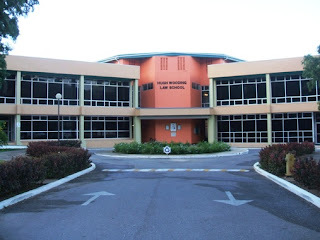 In your opinion which would be the better school between UWI and K. Beckles? i would like to know if the L.P.C and the post graduate diploma in legal practice has the same in content. Is the later recognized in Trinidad. The CPE/GDL is what students with a non-law Bachelor's degree have to do before being allowed to do the LPC (equivalent to LEC). I did the CPE/GDL at the University of Hertfordshire and it is an intense LLB, where you learn all the core subjects with a couple electives in a short space of time. We had all-day classes everyday for two terms, if I remember correctly. I did the same thing... yes it is recognized. You could've just called, mate. how to further education in law after finishing secondary level education? Is the LLB the only route to becoming a lawyer in the Caribbean? I asked because in the UK there is the Graduate Diploma in Law for those who hold non-law related degrees. Would I be able to attend a law school in the Caribbean with the Graduate Diploma in Law? Yes, the GDL/CPE is recognized. Iam currently doing my degree at the UWI, im pursuing a BSc in Agricultural science and environmental and natural resource management. I am intrested in law. Where can I go to study environmental law in trinidad. Also can you give me a list of the laws other than criminal law? Thank you! hi i'm doing a bsc biology after which I wish to do the GDL. I like medical law. What's the status of medical law in T&T? Thank you. Hi good day, how do I get a work at the industrial court trinidad and Tobago? Don't you think they are the ones you should be contacting? Is there a limit to the time period one spends to attain an LLB and does it affect ability to enter the LEC? What is a Qualifying Law Degree in the eyes of Hugh Wooding in Trinidad and Tobago? Yes, the institution will tell you how long you have to complete it, If you don't complete it, you usually have to start over. The main difference between the two is "rights of audience". In T&T, we don't distinguish between the two, so if you intend on returning to T&T, why do a 2 year course that has no benefit? I have completed the LLB and LPC in the UK but I haven't completed a training contract. I would like to qualify in all the Caribbean territories, not only Trinidad, so I would like to apply for the 6 months programme at Hugh Wooding/Norman Manley. I noticed that the application form is asking for a certificate of admission and certificate of good standing, which is given to qualified Solicitors. Were persons accepted to the 6 months programme with the LLB and LPC only? Was it difficult to be accepted to the programme without these certificates? The 6-month programme is really designed for those who have just the LLB and LPC... simple process. Just send in your application. I am currently doing my LLB in Trinidad and planning to my LEC in UK. However, i wish to complete my masters while in England. Is that possible or do is it required to do the training program in Trinidad before doing your masters. The L.E.C. is indigenous to the Caribbean. You can do the L.P.C. and then do a Masters before returning to Trinbago. Excellent blog, I certainly benefited and applaud the overall effort and goodwill. I'm 29 and hold advanced degrees, but considering the 1 year distance learning GDL from BPP Law School in the UK. BPP seems to be the only school to offer this "accelerated" format fully online. Furthermore they guarantee admission to their LPC program upon completion, which is also offered online. 1. What was your 1 year GDL course load like, ideally in terms of hours per day/ week of actual reading/ preparation. I work full-time, though have more than average flexibility and am willing to put in the work... just want to be realistic about the commitment. 2. I saw that you did your GDL at Uni of Hertfordshire, but where did you do your LPC and what was your experience like? Thanks in advance and good luck with your Phd. 1. If my memory serves me correctly, it was 8-5 Tuesday and Thursday. 4 classes each term. Doing a course at the location is nothing compared to on-line... more discipline and dedication is required. 2. Started LPC at London Met, then College of Law, before opting to do the J.D. in California instead. Did you eventually do the 6 month transition course in Trinidad? If so, how did this serve/ hinder you, to have the combo of GDL J.D? The J.D. initially seemed especially long, but if is essentially entitles you to do one of the US Bar qualifications right away, then in reality one can argue it could be considered equivalent to the time required to do both GDL and LPC i.e. 2-3 years (e.g. Northwestern has a top-rated 2 year J.D.). Comments? For clarity, my interests are at the intersection of business and law. While doing the GDL LPC is a fairly quick route, an accelerated 2 year J.D. or even 3 year J.D./ MBA (either in addition to or instead of a GDL), especially at a top US school, could pique my interest if key elements are comparable, and of course costs work out. Footnote: Although I have been advised otherwise, on numerous occasions, I personally see long-term value in becoming fully qualified in at least one key market (ideally Trinidad but not necessarily limited to this), despite heavy business ambitions. Just looking to you for general comments and healthy discussion based on your experience, even if to poke holes. I have intentions of moving back to the US at some point, hence the J.D. It is much longer and it's equivalent to the G.D.L. & L.P.C. together. If an individual already has a BSc and a Masters, neither in law, is the GDL and LPC the required route to take as well? I have read almost all these comments after I just stumbled upon this page while doing research.But still need clarification on one thing. I plan to do the BPTC in Uk because I am doing my Bachelor in International Law in Europe currently and would like to stay here (hopefully)for a couple years. However, going back to Trinidad may be an option after a couple years. Question: If I have been called to the bar in UK and a qualified barrister, what would be the step to practicing law in T&T? Would I still have to go to Hugh Wooding for the conversion course? Or is it that as a qualified lawyer, I can skip that step?. Everyone has to do the 6-month placement. C)) any other options u have? May i ask why u chose that route in particular? B - could take 4/5 years and I have always believed that Attorneys should study more than law... the GDL is all you need, not a 3 year useless LLB. HI, I've read most of the comments and your feedback has been very informative and you seem approachable. I am over 35 and have been teaching Science for more than 12 years. I have my first degree from UWI but did my Master's in Holland and other short courses in the UK - all related to Science or Education. So I would like to know a. what could be the shortest route possible for me to take to obtaining and practicing law in Trinidad. I have an interest in Environmental or Copyright Law ( pertaining to Entertainment industry) and b. what legal studies schools in Trinidad would you recommend for pursuing such studies. Actually, mate, if you ask me, the best option for law in the Caribbean is UWI - Cavehill is #1, but St. Augustine isn't too shabby either. The quality of the University of London distance learning programmes in T&T is extremely poor and exorbitantly expensive. Some of the lecturers themselves studied via distance learning (self-teaching/learning) or attended UWI (Caribbean law). Neither of these people are qualified enough (in my mind) to teach a British course because as I'm sure you're aware, the UK system is way more advanced and the laws aren't as antiquated. The programmes encourage a dilution of the quality of the legal profession and I am totally against them. No other respectable profession has a distance learning programme... why should law? Nonetheless, I've heard of a Graduate route LLB entry at one the distance-learning institutions, but I'm not sure if it's actually offered. The only school that will get my suggestion is K. Beckles in POS, but according to many past students, Mr. Beckles himself is the only good lecturer... and apparently, he only teaches one course called Jurisprudence. If you can afford it, I will always suggest going to England and doing the GDL (1 year) followed by the LPC (1 year), then return home and do your 6-month placement and get called. Hello, I would like to know if I am on the right path. I am 18 years and very interested in studying law. Studying outside of Trinidad is not an option therefore I would like your advice on what I should do and where I should go. I do not have CAPE, however, I was told that I can do my diploma in law. This is my idea, please tell me if I am going about this the right way. This would take me 5 years minimum, which I am quite ok with. Is there any other route I can take, minimum years of studying yet it would be beneficial?? I am interested in specializing in contact and real estate law, which I was told takes approx 6 months each after completing the LEC and writing the bar exam etc. You've got it spot-on, mate. #1 - UWI's degree is better than that watered down crap from the UoL. #2 - If you attend a foreign law school and wish to become a Canadian lawyer, your education must be approved by the National Committee on Accreditation (NCA). You must submit your qualifications and experience in law to the NCA. The NCA will then determine what, if any, further coursework you must complete at an approved Canadian law school prior to licensure as a lawyer in your province. You may also be asked to complete examinations in order to qualify for licensure. If you qualify, you will be issued a Certificate of Qualification, which you may use to seek entry to your province’s law society (each province is different). B) did you or others you know undertake the 6 month programme at HWLS and if so what was the experience like. C) what would be your top 3 tips for someone like myself undertaking this programme. I apologise in advance for making you repeat yourself but i just needed clarification for my specific case after reading through all the comments and responses. What are the steps/ best options after graduating with a LLB from QMUL (Queen Mary University of London as i start law from September). If i get my BVC or LPC in England, what are further steps needed to be able to practice in TT ( i have to fulfill obligatory service therefore i need to be able to practice in TT). Do i need to train for a year in England/training contract (law firms are saturated and less are financing the LPC as there are more applicants than places available) and then do 6 months in TT? I just need a list of clear steps after graduating with my LLb from QMUL. Hi, I am doing my A'levels in humanities and wanted to study law in Canada. Would i be able to become an attorney in Trinidad if i study in canada? The procedure should be the same coming from a Commonwealth country. Hey there, so, I'm about to enter l6 in Trinidad but I need some advice. How do I go about the entire procedure of obtaining my law degree? Some people have told that one would have to complete 1yr at UWI St. Augustine and then 2yrs at Cavehill after that what's the procedure? Or can you give me an alternative route? You can now do all 3 at St. Augustine. Apparently, Hugh Wooding does not accept a LLB and LPC only for the 6 months transitional programme, you need to complete a training contract also. That is untrue, unless that policy was changed within the last few months. I will confirm with HW tomorrow. Hi, I stumbled on this forum and found it extremely informative. Thank you. My case is as follows- I completed CIM- Chartered Institute of Marketing also completed MBA with Heriot Watt; and now I would like explore becoming a lawyer. Based on info in this forum I will further research GDL/CPE and LPC. But realistically what do you think are my options? That is your best option. hi good-day, i am pursuing my study in GDL Law. i would like to know if the GDL law is accepted in Trinidad and Tobago or am i wasting time with this. I have answered this question before. As a matter of fact, the GDL has been mentioned 23 times above. Reading is important for law students. Hi, I'm currently finishing my last year of cape and I've been thinking about becoming a lawyer, but I don't know what type of lawyer as yet! Do you have any clue of which lawyer earns more income in Trinidad!? I am not sure. You should call Hugh Wooding to find out. Hopefully you find someone competent to assist over the phone, as that's usually not the case. If money is the predominant motivation for your interest in the legal profession, please stay out. There are enough rapacious lawyers in T&T who need to be disbarred from practice. Yes, money is important, but many of us do this mainly because we love it and because rights is our main focus, which is what the legal profession is grounded upon historically. Another reason why the distance leanring LLB's are a bad thing for this country. Too many lawyers... too many crooks. Is not like I'll be greedy for money, or demand more than what I deserve. I mean I'll love to help people out and stand up for them and earn a good enough salary as well. OK let me put it this way is there a demand for lawyers in t&t? And what type? The legal profession is saturated, so there's no demand per se, but the numbers increase every year. Make a name for yourself and you'll make what you should be making. I don't practice, so carved out my own niche in employment and labour (industrial relations), but that's because I have a passion for the area. Other Lawyers have a passion for different areas, and a friend of mine has a Masters degree in family law. So it's up to you to decide what direction you want to go. The main areas of practice are family and land. Less than 10% of lawyers do criminal. Once qualified, a Lawyer has "right of audience" at all courts. What subjects u need to become a lawyer.... eg math English? What subjects? Passion and integrity. Nothing else matters. I am 21 years old and I finished school at G.C.E level about five years ago I currently work at a local bank and I want to pursue a career as an Attorney.Can you advise me? I hope to take the following route to qualify-UK GDL then LPC then return to Trini for 6mth training with an attorney then get called to bar. Called HWLS- they said the option after the LPC is 2 year programme not the transitional 6mths. I followed up with an email for further clarification and await a response. Do you have any suggestions here as I am baffled at their response? I have just been accepted to do GDL in UK. You spoke to the wrong person at HWLS. What you said is correct. Well HWLS never responded but I got confirmation from the Law Association quite promptly. Hi, I am a British citizen and have completed my LLB and LPC in England and i am currently working in a firm in England but awaiting to commence my training contract. I am considering moving to Trinidad for family reasons, what is the route for me to carry on my legal career in Trinidad? Already answered numerous times above. I want to know if it is legal for a university to allow you to graduate and three months after the graduation right before they release your certificate they told you that you are lacking there credits and they would be with holding your degree if not completed?